Extended Hours Now at Louisville Medical Clinic!! 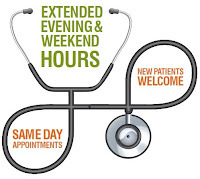 extended clinic hours will begin Monday, August 1st! We will now be open weekdays from 8-8 and weekends from 8-5. 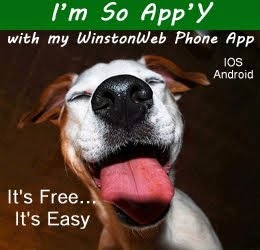 Call 773-7500 to make an appointment. As always, walk-ins are welcome. The Louisville Police Department is continuing its investigation into a home invasion and auto theft that occurred just after midnight on Thursday morning (July 28) on West Main Street. The elderly occupant of the home awoke to find someone in their home. The homeowner confronted the individual who left the residence. On Thursday morning, Louisville Police received a call from Chickasaw County law enforcement concerning a vehicle that had been wrecked in that county. LPD traced the car back to the property owner on Main Street who did not realize that their vehicle had been stolen. 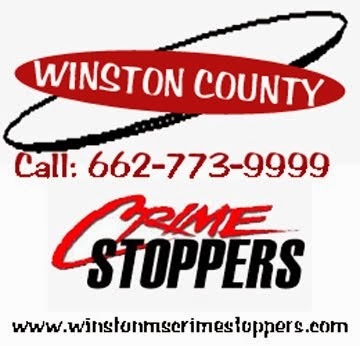 LPD indicates that the investigation is ongoing and may be related to the break-in of a local business just one block from the residence and the attempted break-in of another on the same evening. Assistant Police Chief Andy Taylor reminds local residents to lock your doors and vehicles and to take reasonable security precautions around your property. A new school year always brings new challenges, especially for new teachers. The Louisville Municipal School District held a new teacher orientation program Wednesday for incoming first-time teachers in the district. The two-day event will introduce the new teachers to the district, provide them with information, allow the district to gather identification information for badges and allow the new employee to learn about basic employment issues including payroll, computer training and requirements of the district. 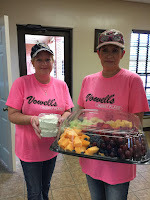 Citizens Bank provided pastries, sandwiches and fruit for the teachers and staff to kick off the program. The district will do a follow-up with all new teachers throughout the school year with a monthly visit to the classroom of any new teacher to deal with any questions or issues that the new instructor may have. Before the school year begins, Central Office staff will actually visit every new teacher’s classroom to verify that everything is in proper order, including making sure that all equipment works properly, lighting is correct and the classroom is properly equipped. Superintendant Ken McMullan said, “Our teacher retention program has been successful. The number of new hire’s is down over the last couple of years." The district has approximately 25 new teachers this year compared to other years when there have been as many as 35. McMullan indicated that retention of teachers is better due to providing more support for these first year teachers in events such as this orientation. McMullan noted that one thing that has really improved in the district is the use of literacy coaches including Jenny Vowell, Lisa Horn and Jan Collier. He indicated that these coaches provide much support and resources especially for first year teachers. As McMullan addressed the group, he stressed the importance of their job and the impact and influence that they have on their students’ lives over the next nine months. This is Hagon. Hagon is Louisville's new K-9 police officer. Shown here with his partner, Officer Kevin Rushing, Hagon came to Louisville as a donation to the city from Fort Royal Virginia Canine Center, part of the U.S. Customs Border Patrol K-9 unit. 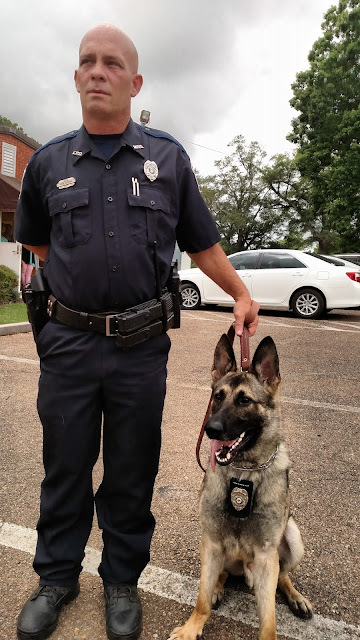 Said Rushing, "Hagon will be utilized as a narcotics dog within the city, he is not what is considered a bite dog." Hagon is about 2 years old and resides with Rushing. The team of Rushing and Hagon were recently certified and are now available to patrol the streets. Rushing said, "It is a different situation for me, I now have another life to worry about while I'm on patrol." Police Chief L.M. Claiborne said that the department was looking forward to having a canine to help with drug enforcement in the community. Hagon will be utilized anytime there is a need to check for narcotics whether that's in a home or a vehicle. The East Central Community College men’s and women’s tennis teams were both named to the 2016 Intercollegiate Tennis Association’s All-Academic Teams released this week.In addition to the team honors, nine ECCC tennis players were also honored as ITA Scholar-Athletes for their academic performance during the 2015-16 school year. Meijer is announcing a recall of select fresh salads and sandwiches due to a potential risk of Salmonella contamination. The Markets of Meijer Salads and Sandwiches were sold in Meijer stores from 7/20/16 to 7/25/16. There have been no known illnesses reported to Meijer from the product affected by this recall. 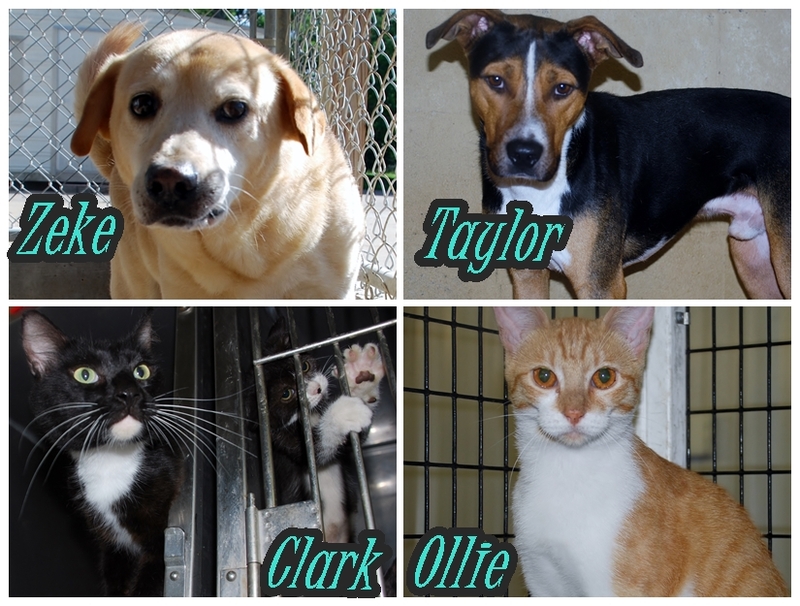 The four lovable guys pictured above are just some of many animals up for adoption at the Louisville Animal Shelter located on 110 Thompson Street. For more information on them or any others at the shelter, please call 662-773-3420. These animals need a good and loving home. The Animal Shelter is over run with cats and kittens, please come adopt and take one of these precious babies home today. 1. Zeke: He is a male yellow Lab mix, is neutered, is a sweet dog, but needs more human contact. He is 5 or 6 years old. 2. Taylor: He is a male, is neutered, very sweet and is a 2 year old bulldog mix. 3. Clark: He is a male with black & white markings and beautiful yellow/green eyes. He has been neutered, is very loving and is 1 or 2 years old. 4. Ollie: She is a female yellow/white Tabby. She has been spayed, and is very sweet. She is about 1 or 2 years old. The Louisville Post Office honored two retirees this weekend with a retirement party at Lake Tiak O' Khata. Joel McCully with 36 years of service to the post office and Ken Shelton with 25 years continual service to the post office were recognized for their service by Postmaster Betty Roach. A large group of former and current employees attended the retirement supper. Shelton attends to approve his golf game and other interests. y and his brother Stanley McCully had been employed with the post office throughout that period with the only exception during the war years 1943-1945 during World War II. 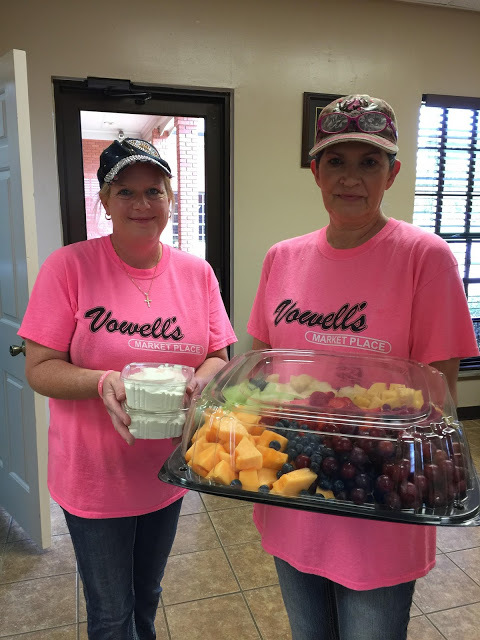 Recently, local businesses, Winston Plywood and Vowell's Market showed their appreciation to local law enforcement for the work they do for our community. The Louisville Board of Aldermen met on Tuesday, July 19th in a regular meeting. Winston County Librarian, Beth Edwards provided them with an overview of the libraries activities over the past several months. 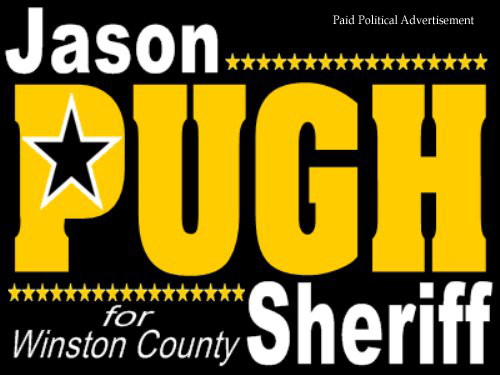 This is similar to the report provided to the Winston County Supervisors on Monday. The board also heard from airport board president Mike Forster concerning updates to the airport project which includes the progression of the hanger being built at the facility. 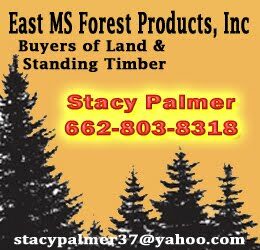 The board made several payments including Davidson hauling for $86,212.85 and to Clear Water Consulting for a fee of $19,500. STARKVILLE, Miss. 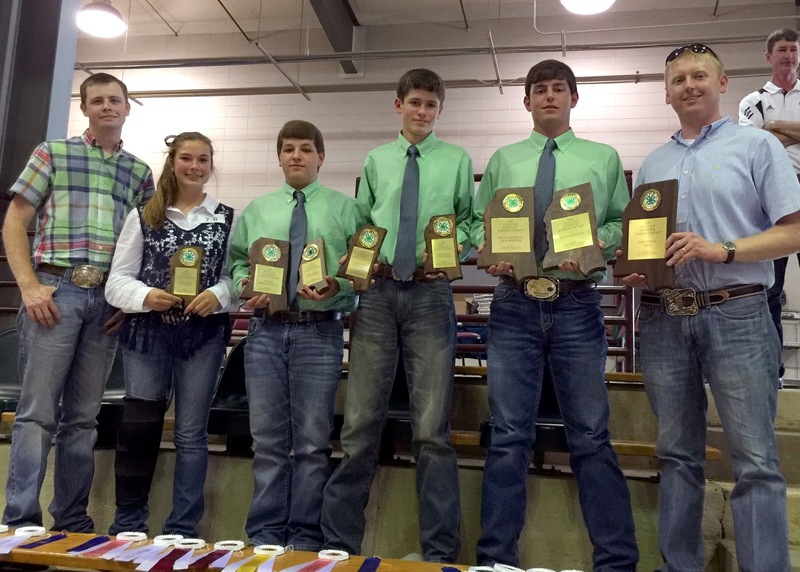 -- Teams that want to win big in 4-H and FFA livestock judging competitions should attend the Mississippi State University Livestock Judging Camp. The three-day camp in the MSU College of Agriculture and Life Sciences is open to teams and individuals who are 14 to 18 years of age. 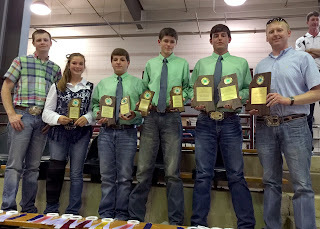 Past attendees have included top winners in Mississippi, Alabama and Tennessee livestock judging competitions. 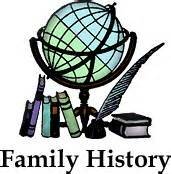 Let’s all take part in preserving our precious family history for future generations. How can we do that? By sharing it with our local library! Why the library? Because interested family genealogy researchers will always go to a library in the town or city in which their ancestors lived to find any family information. 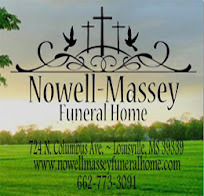 The most asked question asked by a researcher is “Where did my family live?” and they are always thrilled to find photographs, bible records, obituaries or any other document detailing their ancestors lives. Newspapers are a great source, however newspaper research takes patience because there is no index of names. Most libraries have family files where this information can be stored. 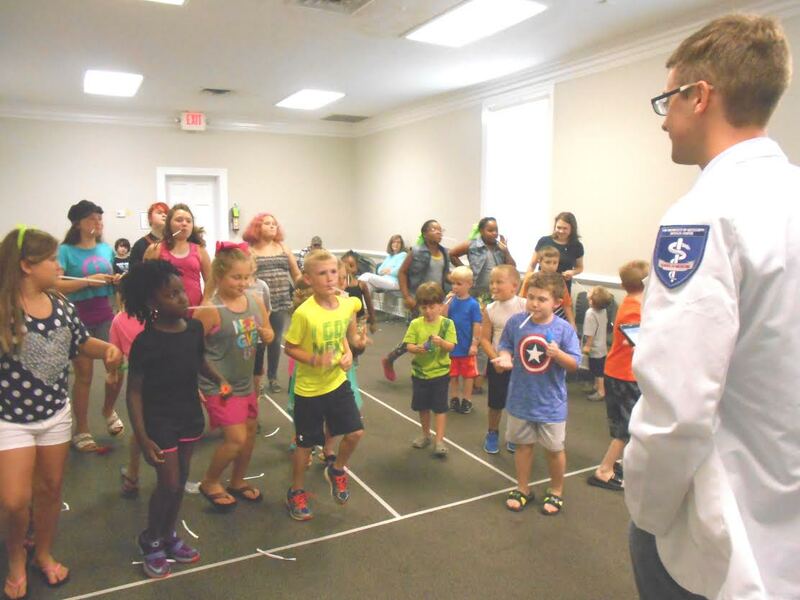 The Winston County Library hosted two programs July 20 from 2-3 p.m. in the library meeting room that both entertained and informed children. The first program was Tommy Terrific and his show "Baseball Magic," sponsored by Fair Propane and Gas. 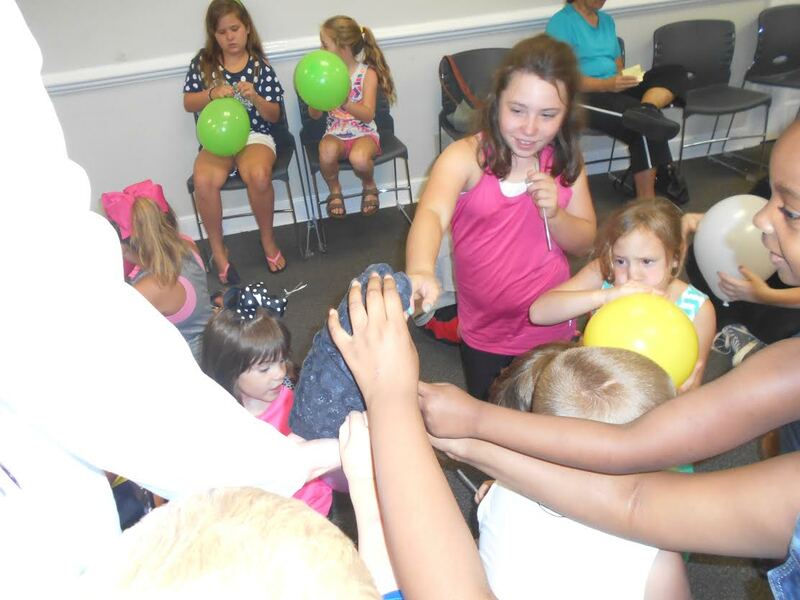 Tommy had more than 30 kids at the Winston County Library activating their minds and bodies with his fun, baseball-themed magic show. The program featured a huge Magic Trunk containing a very large Magician's Handbook. Inside the Magician's Handbook were exciting baseball-themed magic tricks. The kids had a ball with this fun interactive program. Following the magic show, the library hosted a short tobacco awareness program presented by Jacob Stout of the University Medical Center in Jackson. 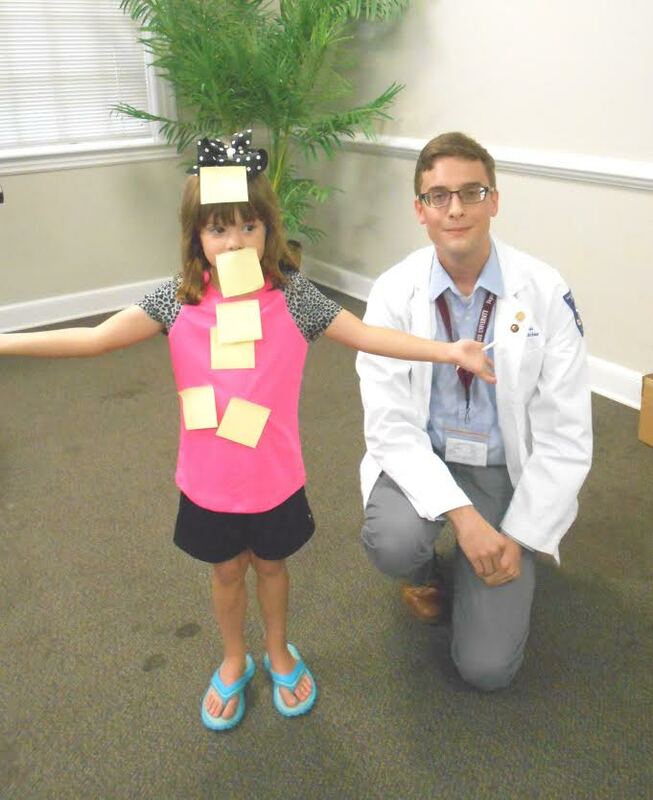 Jacob, a third year medical student, is completing his family medicine rotation with Dr. Sam Suttle. The program, called “Tar Wars” is sponsored by the AAFP, the American Association of Family Physicians. "Tar Wars" is a national syndicated program designed to teach young children about the harm of tobacco and e-cigarettes. These lovable guys are up for adoption!!! 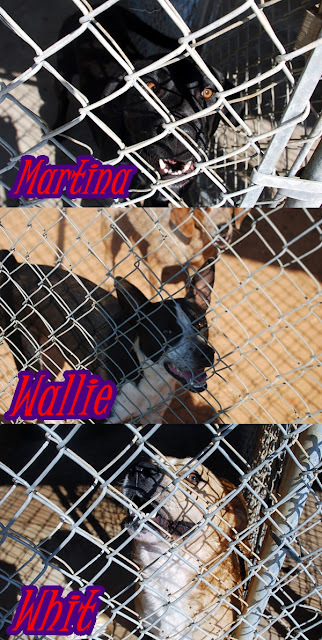 For a better look or more information on them or any other animals, please come by the Louisville Animal Shelter located at 110 Thompson St. or call at 662-773-3420. All the babies at the shelter are in need of a good and loving home! 1. Martina : Is a female black Lab mix and she has been spayed. She is a year or two old and has a sweet disposition. 2. Wallie : Is a male, looks to be a Heeler mix, and has been neutered. He is 2 years old and very sweet. 3. Whitt : Is a yellow Lab mix male and has been neutered. Whit is around a year old and a very sweet dog. Stewart, President of East Central Community College took the opportunity to update the board on the school's progress and events. He noted that the school had record graduations this year with nearly 600 graduates. He spoke of the school's athletic success, improvements at the college and a new program that allows students to get their GED while enrolling for career credit at the same time. 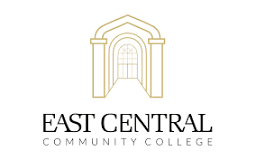 He also noted that in 2015, 50% of high school graduates in the district served by ECCC, who furthered their education, started at East Central. The board also heard from Winston County Librarian, Beth Edwards with many of the Library Board in attendance. Edwards updates the board on a regular basis concerning library usage and programs. She indicated that the library had over eight thousand registered patrons with over 5,500 visits in the library per month. She also provided the board with a list of activities at the library over the last few months including the summer programs and book signings. She informed the board that state budget cuts had reduced library's budget by $8,000 for the coming year and asked for any assistance from the county that would be possible. Representatives from the Governor's Job Fair Program were in attendance as well. Ryan Colvin, a local student attending MSU and Adam Todd with the program spoke to Board. They indicated that plans are in the works to have a Governor's Job Fair in Louisville on September 28th. Todd asked for the board's assistance in promoting the event and encouraging local businesses to participate. 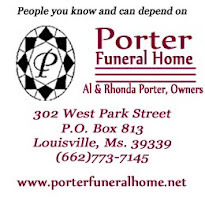 4;00 P.M. - 6;00 P.M.
Andrae Sims graduated from Louisville High School in 2002 as president of his class for all four years of high school. He always wanted to be an educator. 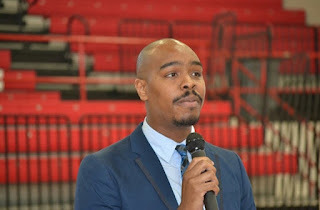 He attended the University of MS and received his Bachelors, Masters, and Educational Specialist Degree in education, and is completing his Doctorate of Education at Arkansas State University. Sims began his career as a 5thand 6th grade language teacher at H.W. Byers Elementary School where he was recognized as district teacher of the year in 2007. After 4 years in the classroom, he served as an instructional facilitator at H.W. Byers High School before becoming the principal of Galena School located right outside of Holly Springs, MS. As principal, he helped steer his school to being the highest rated school in the entire district by the Mississippi Department of Education. Later he served as the Director of Curriculum and Professional Development for the Coahoma County School District where he helped transform a district from low performing to successful. Andrae Sims is the founder and CEO of ARS Educational Services, an educational consultant company,where he has the opportunity to help thousands of students across the state of Mississippi reach their goals of becoming ready for college and beyond. Chamber Holds Ribbon Cutting for "Just Around the Corner"
The Chamber of Commerce participated in a ribbon cutting on Friday as the community welcomes a new business to Louisville. 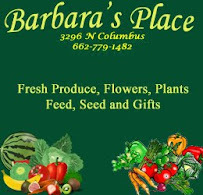 Retailer - "Just Around the Corner" opens with a variety of antiques and gifts. Located at 109 Park Street (the old Caperton AutoSupply), owners Eddie and Belinda Winters are now open for business. Economic Development Director Glen Haab welcomed the new business. "It's good to have you in downtown Louisville. We appreciate the investment made in Louisville and Winston County. MINNEAPOLIS - Out of an abundance of caution, two flavors of Betty Crocker cake mix sold in the U.S. and one flavor sold in Canada have been added to General Mills' previously announced flour recall from July 1, 2016. No illnesses reported to date have been connected to cake mix. Continental Mills has issued a recall affecting only retail Krusteaz Blueberry Pancake Mix, which involves product manufactured between April 2016 and June 2016. The company was notified by our supplier that their product, a blueberry nugget, is made with a small percentage of affected flour which was recalled by General Mills because it may be contaminated with E. coli O121. If you have recently purchased Krusteaz Blueberry Pancake Mix 28 oz. cartonwith a best by date code between 3/30/2018 and 6/16/2018, and a UPC code 041449001289, please contact our Consumer Relations Team at 1-800-457-7744 for information to receive a full refund. Please dispose of the product. 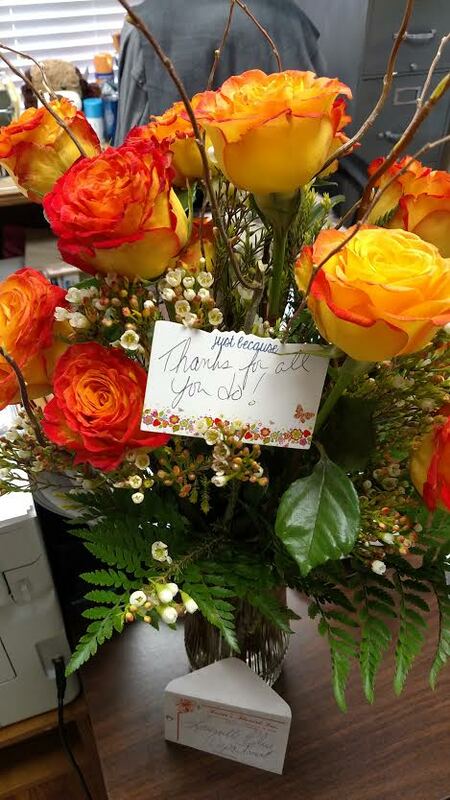 The Louisville Police Department received a pleasant surprise on Monday morning when these beautiful flowers arrived at their offices. The anonymous sender expressed a thank you for the service of local officers.